Hernias are often repaired using laparoscopic, or minimally-invasive surgery, but Dr. Babak Eghbalieh is one of the few surgeons with the expertise to routinely repair hernias using robot-assisted surgery. If you would like to consider the optimal results achieved by minimally-invasive robotic surgery, contact Dr. Eghbalieh at the Southern California Hepatobiliary Pancreatic & Robotic Surgery Institute. He sees patients throughout the Southern California area, with offices in Valencia, Porter Ranch, and Sherman Oaks, California, and a new office opening in Los Angeles in the near future. Hiatal hernia: Develops when the top of the stomach pushes up through the diaphragm muscle. Inguinal hernia: An inguinal hernia develops when tissue — often a part of the intestine — pushes through a weak spot in the abdominal muscles. Incisional hernia: This type of hernia protrudes through an incision made during a prior operation. Incisional hernias may vary in size from tiny to massive. Ventral hernia: This is a generic hernia bulging through weak abdominal muscles. It’s sometimes used interchangeably with incisional hernia. When a ventral hernia occurs above the belly button, it’s called an epigastric hernia. Umbilical hernia: Develops when tissue bulges out through an opening in the muscles near the belly button. Hernias are caused by weakened muscles, which may exist since birth or develop over time from repeated strain on the abdominal muscles. Obesity and pregnancy can weaken abdominal muscles from stretching the tissues. Muscle weakness also develops due to exertion from physical activity, frequent coughing, and straining due to constipation. Hiatal hernias may arise from weakening of the diaphragm caused by age or pressure. Most hernias cause a noticeable bulge that disappears when you lie down. Hernias may be painful when you bend over, lift a heavy object, cough, or laugh. Otherwise, you may experience a dull ache, an increase in the size of the bulge over time, or the feeling that you’re full. Hiatal hernias are an exception – they usually don’t cause a bulge. Instead, they cause symptoms such as heartburn, indigestion, difficulty swallowing, and chest pain. How are hernias treated by Dr. Eghbalieh? Hernias never resolve on their own. 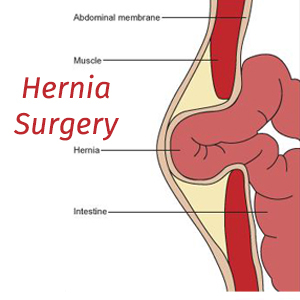 Surgery is the only way to treat a hernia, but it doesn’t have to be open surgery. Dr. Eghbalieh repairs most types of hernias using minimally-invasive robotic surgery. Robot-assisted surgery enhances Dr. Eghbalieh’s ability to see the tissues and perform complex surgical maneuvers with even greater precision than can be done by the human hand. Robotic surgery may also lower the risk of the hernia returning. If you need surgery for a hernia and would like to explore the benefits of state-of-the-art robotic surgery, you can receive excellent care from Dr. Eghbalieh. Dr. Eghbalieh accepts many of the largest Insurance plans. Here is a list of some of the accepted plans. Please contact our office if you do not see your insurance provider listed. "Dr. Eghbalieh is a caring professional who explains procedures in a way you can understand and really listens to you. I recommend him highly!" "Dr. Eghbalieh combines unparalleled education and experience with a rare, welcome level of professionalism and a warm bedside manner." "Dr. Eghbalieh recently performed my hiatal hernia repair. The surgery resulted in quick resolution of my symptoms." "Dr. Eghbalieh did my gallbladder surgery with the robot! I had minimal pain the first day after surgery. My recovery was much better than I had expected."